PETALING JAYA: Aviation tycoon Tan Sri Tony Fernandes is planning an ambitious £10bil (RM52.6bil) redevelopment of the Old Oak area in West London, anchored by a 40,000-seat stadium that will be the new home for his Queens Park Rangers (QPR) football club. The behemoth 40.5ha project in Zone 2 of London will feature 24,000 homes, a 350-room luxury hotel and millions of square feet of entertainment and commercial space, according to a statement from the English Championship club. The initial phase of New Queens Park, which includes the stadium, was estimated to be worth £200mil (RM1.1bil) and would take six years to build, creating 50,000 jobs, people familiar with the matter told StarBizWeek. It is expected to dwarf the Canary Wharf financial district and even S P SetiaBhd’s Battersea in size. 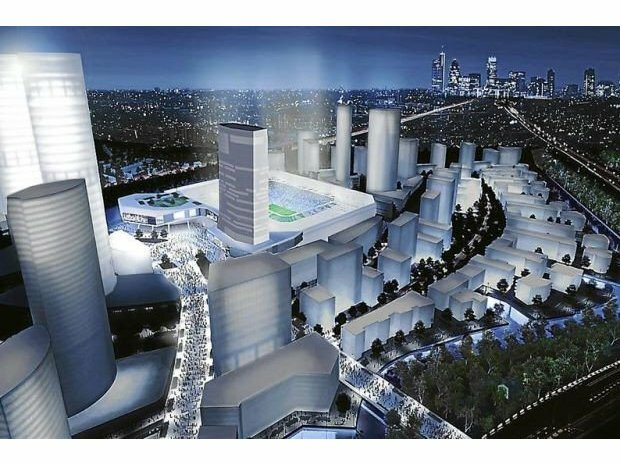 QPR said it had signed a letter of collaboration with the Greater London Authority and the London Borough of Hammersmith & Fulham to “bring forward an early and very significant private sector investment into the Old Oak Common regeneration area”. The project is endorsed by London Mayor Boris Johnson, who has made it his priority to revive the densely populated Old Oak as a world-class city quarter. QPR, which counts Indian steel magnate Lakshmi Mittal as a shareholder and Fernandes as chairman, said it had partnered Stadium Capital Developments and inked exclusivity land arrangements with Network Rail and other landowners who control major parts of Old Oak. Stadium Capital Developments is run by Antony Spencer, the entrepreneur behind the Emirates Stadium and the surrounding 20.2ha of regeneration. This marks the end for QPR’s base in Loftus Road, which is just 3.2km from the new stadium. The club had first used the Loftus Road stadium in 1917.
need more than an 18,000 capacity,” Fernandes said. “With no option of expanding here, we have to look elsewhere and we welcome the mayor’s and Hammersmith & Fulham Council’s commitment to regenerate the area, which includes an option to develop a new stadium at Old Oak as a key catalyst to bring forward redevelopment, cementing our future in this part of West London,” he said. Reports out of London yesterday said QPR had made a £21mil (RM110.5mil) bid for a site in Old Oak, which is better known for being a railway depot, even as it prepared to pour in a further £15mil (RM78.9mil) for planning permission. Fernandes told The Times: “This isn’t just building a stadium but virtually a whole new community. The football club gives us the anchor and the huge number of eyeballs which come with the attention of being in the Premier League. It is a huge project and the stadium gives it focus and impetus. Under a 30-year blueprint drawn up by the mayor, Transport for London and the local council, Old Oak is set to be transformed into one of the best connected locations in the United Kingdom with a proposed High Speed 2 and Crossrail station by 2026. Planning permission for New Queens Park was targeted to be secured by early 2015 to allow QPR to relocate in time for the 2018-2019 season. London-based property executives contacted by StarBizWeek expressed some concern about the development, pointing to a similar project involving Tottenham Hotspur, which they say is still “stuck”. Spur’s 56,000 capacity Northumberland stadium was hit by delays and had to drop plans for a 150-room hotel.